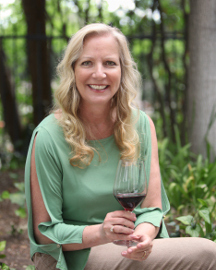 Today I am joined by fellow sommelier, and very long time friend, Alana Madsen. We are enjoying our lovely view from Cafe 22, Copenhagen’s ultimate lakeside cafe. “Don’t forget the savory brunch,” Alana was quick to add. The name Akvavit is derived from Latin, “aqua vitae,” or “water of life.” The word whiskey is derived from Goidelic or Gaelic. Likewise, clear fruit brandy in France is called “eau de vie,” or “water of life.” Of particular interest to wine enthusiasts, an apocryphal story holds that Akvavit actually means “water from the vine.” Now that I have your interest, Akvavit is simply a Scandinavian spirit produced from either grain or potatoes. However, there is a distinct flavor due to the addition of spices and herbs. Typically caraway or dill is favored, and the alcohol content is 40 per cent. Our first selection was Aalborg Extra Akvavit. This is a rich, mild, golden-colored luxury spirit that is celebrated amongst the Danes. It is by far the most popular export brand of Akvavit in the world. 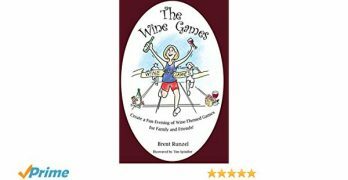 “My father always started and ended his day with a glass of Akvavit,” Alana smiled in fond reflection. “Alana, with what dishes would you serve Akvavit?” I queried. 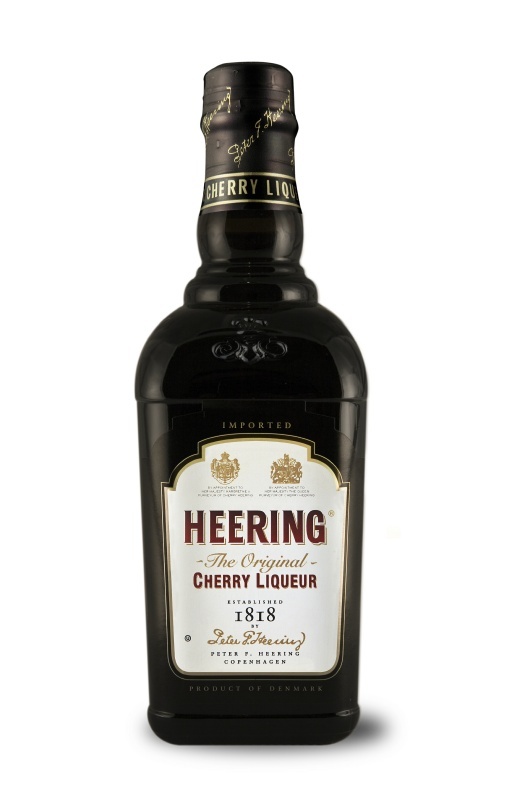 Our next spirit was a Heering Cherry Liqueur. It is made from the small small dark Stevns Cherry which thrives on the long ripening period of Denmark’s cool Nordic climate. The cherries are harvested in August and the juice is crushed together with the pits. This gives Heering its characteristic hint of almond. 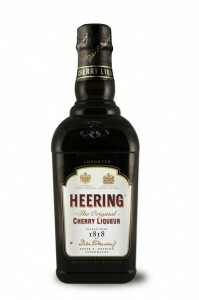 Next a secret combination of of spices that has been in the Heering family since 1818 is added. Finally, everything is poured into great casks to mature for a minimum of three years. 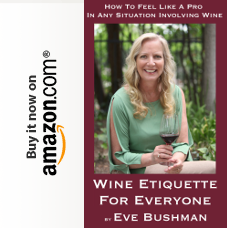 “The things you know,” she smiled heartily as she poured us another glass. Our next selection was Kirsberry, another Danish cherry brandy. 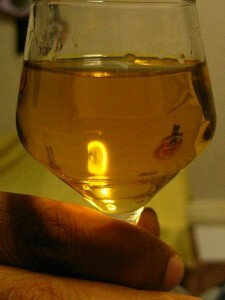 Like Heering, Kirsberry, does not contain any artificial coloring or additives. However, Kirsberry is much different in style. Kirsberry follows a hundred year old family recipe that remains secret. 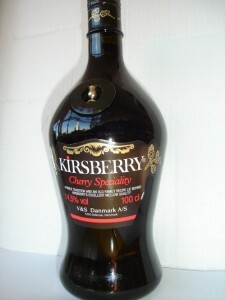 On the nose, Kirsberry is deep and rich with syrupy notes. On the palate it just oozes cherries. The finish is sweet then sour cherry, with just a hint of plum skins towards the end. 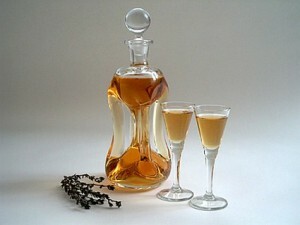 The golden chalice that adorns the bottle is a symbol of quality. “Typically between 15-16 per cent,” Alana replied with a grin. “You drink like Hercule Poirot,” I gave a hearty laugh.